After his brilliant support against Iceland yesterday, Ahmed Musa has joined the elite players, winning the Budweiser Man of the Match, at the current FIFA World Cup in Russia. 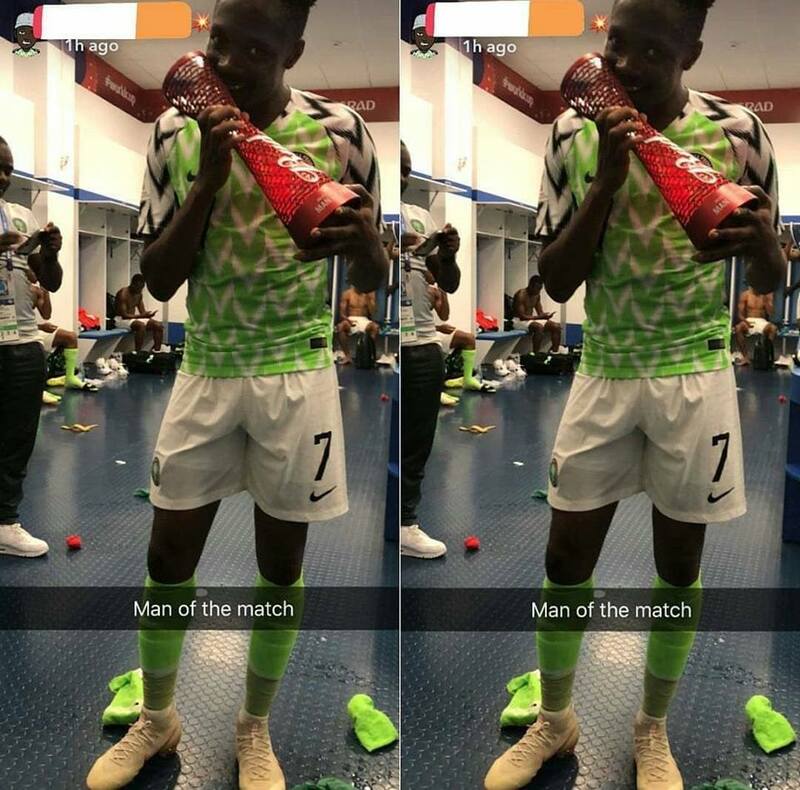 Musa, 25 years old and 71 times international with Nigeria, has 13 international goals in general, four of them in the World Cup. The Nigerian No7 becomes the second African player to score two supports for the World Cup, after Roger Milla in 1990. Other winners of the Budweiser Man of the Match are Philippe Coutinho (Brazil), Luka Modric (Croatia), Kylian Mbappe (France), Christian Eriksen (Denmark), Luis Suarez (Uruguay), Cristiano Ronaldo (Portugal), Diego Costa (Spain) , Mbaye Niang (Senegal), Denis Cherychev (Russia), Harry Kane (England), Romelu Lukaku (Belgium), Hirving Lozano (Mexico), Aleksandar KOLAROV (Serbia), Yussuf Yurary POULSEN (Denmark), Hannes HALLDORSSON (Iceland), Anrtoine Griezmann (France), Amine Harit (Morocco) and MOHAMED ELSHENAWY (Egypt).